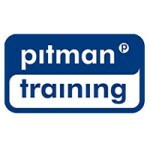 Audio Transcription Level 2 is course run by Pitman Training Centre (Dundalk), Louth. For more information about Audio Transcription Level 2 at Pitman Training Centre (Dundalk), please review the details below. The Audio Transcription Level 2 course at Pitman Training Centre (Dundalk) is listed in Courses.ie's national courses finder. For information about Pitman Training Centre (Dundalk), please visit our Colleges page on Courses.ie by clicking here.